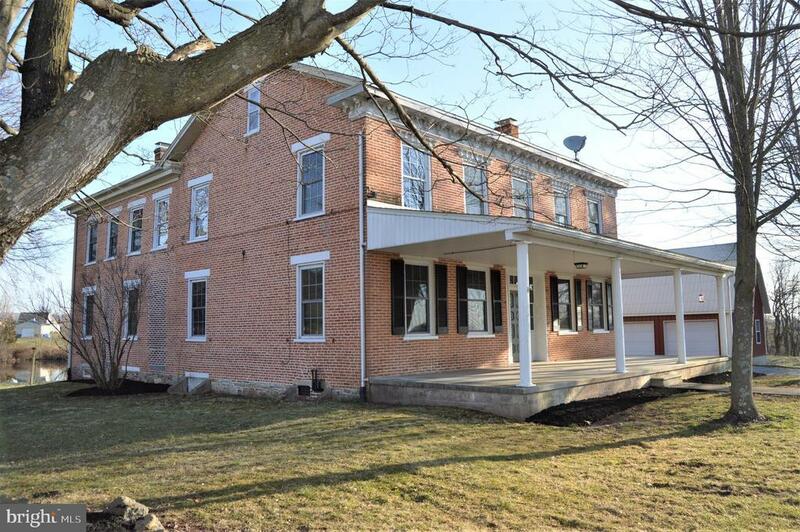 Welcome home to this 2 story all brick 1800s farmhouse on 7+ acres with a pond, inviting front porch and 2 car oversized garage. 3400+ square feet with 4 bedrooms, 3 full bathrooms, refinished chestnut & pine floors. and 9 ceilings throughout. Spacious living room with fireplace eat-in kitchen with fireplace, granite counters, and new stainless appliances. Other recent improvements include roof, thermopane windows, electric, and lighting. Septic has new pump. Garage includes 2nd story that is partially finished and a heater not currently hooked up.